If being a new parent isn’t challenging enough, throw in the confusion of choosing between a non-GMO formula vs. regular baby formula. When you have one label telling you what to give your infant and another label claiming to be the best formula your baby needs, it can get confusing and downright stressful. Luckily, there are some differences to help you make the decision and some top options for both kinds of formula. No style of baby formula isn’t necessarily the “wrong” one or the “bad” choice, but depending on your family’s personal preference and your baby’s needs, you may be better off going with one over the other. First, it’s important to know the difference between non-GMO and regular formula. Contrary to what some parents might tell you, a non-GMO formula isn’t necessarily organic. While some organic formula can be non-GMO, all non-GMO formula is not certified organic. It is, however, made without any added genetically modified ingredients. These non-GMO ingredients could have had their DNA changed by the addition of genes from another plant or species. This often happens for protecting crops and having animals bred faster for faster overall production. It also often adds nutrients to the formula. While a lot of animal by-products are made from animals that have been enhanced with modified ingredients, sometimes, it is a parents’ preference to try a formula made with as many natural ingredients as possible. Thus, non-GMO baby formula. On the flipside, a regular formula can be made with genetically modified ingredients. This simply means that the dairy ingredients in the formula come from animals that were fed with food made with genetically modified ingredients. It doesn’t mean that the formula was tampered with, so to speak, or that it’s unsafe for your baby. While some parents search for non-GMO formula and prefer it over all else, there are still benefits to regular standard baby formula. And, rest assured, the U.S. Food and Drug Administration deems foods with GMOs safe to consume. Some parents swear by non-GMO baby formula. To them, the benefits far outweigh any negatives, and there’s nothing wrong with that. Some of the benefits of choosing a non-GMO formula include getting a product that’s made with ingredients you can trust a little better. It also makes it easier to limit the number of chemicals or artificial ingredients your baby takes in. As they get older, it can sometimes be difficult to limit the GMOs they consume, since GMOs are in a lot of different foods. But, while you can, for some parents, there’s no real reason not to try a non-GMO formula. Some might even argue that formulas with GMOs are a little more difficult for your baby’s tummy to digest, which can be a huge turnoff. On the other hand, non-GMO formulas do tend to be a little pricier than regular formula. There’s also nothing specifically and unavoidably dangerous about GMOs. For some parents, processed foods in any way are a definite no-no, but like slightly processed foods, GMOs in your baby’s formula aren’t likely to have any lasting negative effects. Regular baby formula has its own set of benefits for many parents. Overall, they’re the easier choice because some parents just understand the label better and want a straightforward formula without needing to do added research. Regular formula is also less expensive and can make the formula last longer. So stocking up on regular formula is a little easier even with the added GMOs. Then again, some parents might argue that paying a few extra dollars per container is a small price to pay for non-GMO formula. While the regular formula isn’t bad for your baby, there may be a better chance of non-GMO formula being a little more gentle on their digestive system. The Enfamil NeuroPro Infant Formula is a prime example of a non-GMO formula that isn’t organic. Yet it still has all of the same nutrients your baby will need thanks to its blend of the fat proteins DHA and MFGM. It also has dual prebiotics for your baby’s immune system and smaller proteins to make it easier for your baby to digest the formula after each feeding. It has most of the same ingredients and nutritional value found in actual breastmilk, which makes it a top choice for a lot of parents who choose to go with non-GMO formulas. You can find it on the manufacturer’s website and on Amazon or in-store at Target and Walmart. On Amazon, a 20.7-ounce tub of Enfamil NeuroPro Infant Formula is $28. Check out the latest prices on Amazon. There are no recent or current recalls on the Enfamil NeuroPro Infant Formula. Although some babies with bowel movement issues might need an adjustment period, this formula can help make them more regular with healthy and solid poop. It has nearly everything you’d find in breastmilk, so you can be sure your little one is getting all the nutrition they need. There’s also immune system support, which is especially helpful in smaller or younger babies. It can also be helpful for babies with acid reflux issues. It might not be the best option if you want to breastfeed and supplement with formula. It might make some babies a little gassier, even if it does help with bowel movements. There might also be more bubbles and foam than some parents would like when mixing the formula. “This has been a life saver in our house. Even if you think that your child may have some acid reflux or lactose issues, give this a try. My little one was diagnosed with both acid reflux and lactose sensitivity. Gave this formula a shot and it has been perfect. She has put on weight, no longer spits up like she used to (barely spits up any) and is super happy.” – Bethany Johnson on Amazon. “After having to go back on antidepressants, I was so sad that I couldn’t breastfeed my son anymore. So I got to googling and saw this brand of formula. I love it, and my son drinks it well after being exclusively breastfed. It’s a bit pricey, but you get what you pay for.” – Leanna Hale on Amazon. Similac has plenty of options in both non-GMO and regular formulas, but the Similac Pro-Sensitive Non-GMO Infant Formula is another solid option here. It’s made specifically for sensitive tummies, and on top of that, the non-GMO ingredients make it gentle anyway, so your baby will likely see tons of improvement after switching to this one. It’s made with ingredients meant to promote healthy eye and brain development as well as a strong immune system. These are all important things right from the start and ones that breastmilk has nutrients for, so that’s a big plus as well. It also has a mixing guide, so your baby doesn’t get watered down formula or formula too thick. You can buy it on the manufacturer’s website and on Amazon or in-store at Target and Walmart. On Amazon, a 22.5-ounce tub of Similac Pro-Sensitive Non-GMO Infant Formula is $33. Check out the latest prices on Amazon. There are no current or recent recalls on the Similac Pro-Sensitive Non-GMO Infant Formula. The flavor isn’t as strong as that of other similar formulas, so babies are more likely to take to it more quickly. It’s so gentle on the stomach that it can quickly help ease reflux issues. Babies with gas issues might also see some relief after switching to this one. It has a lot of the same nutritional value as actual breastmilk, which is the whole point. It can be a little difficult and even annoying to get the top open the first time. As a non-GMO formula, it is on the pricier side. It can sometimes have a little more foam than is typical when mixed and even after it settles. “I have been using this formula since my daughter was a month old and was having some fussiness issues with the Similac Advance we were given at the hospital due to breastmilk supply issues. I couldn’t be more happy with it and she’s now 7.5 months old. Amazon has by far the best price on this size container (and believe me, I have shopped around for best price! ).” – Marti C. on Amazon. “Helps my baby with his constipation issues. He has been on the sensitive formula and doctor recommended unfamiliar reguline which he hated. When this came out the doctor said to try it and it’s been great!” – Ami Mendoza Glover on Amazon. Similac has plenty of non-GMO formulas, but they also have regular formula options, like the Similac Advance Infant Formula. Like other formulas from the brand, it’s made with Similac’s OptiGro combination of DHA, Vitamin E, and Lutein to give your baby the nutrients he or she needs. They’re also the key ingredients found in breastmilk for overall brain and eye development, so it’s a win-win all around. Although it’s a regular formula, it’s still one that has no artificial growth hormone added to give you added peace of mind. You can buy it on the manufacturer’s website and on Amazon or in-store at Target and Walmart. On Amazon, a 23.3-ounce tub of Similac Advance Infant Formula is $25. Check out the latest prices on Amazon. There was a 2010 recall on some Similac infant formulas. Most babies actually enjoy the taste, so they take the transition to this particular formula relatively well. It’s an easy alternative to breastmilk or for babies who need to go back and forth between breastmilk and formula. It has all of the necessary nutrition for your baby’s first year. Overall, it’s a good option for babies that are prone to upset stomachs or gas issues. For a regular and not a non-GMO formula, it may be a little too pricey for some. It might cause digestive issues for babies who have a sensitivity to protein in dairy. Although most babies will get used to the taste easily, the smell of the actual formula may be a little off putting for some. “My daughter-in-law trusts and only uses Similac products for her two children. Both are healthy and happy, can’t ask for anything better. Highly Recommended.” – Stephen Garvey on Amazon. 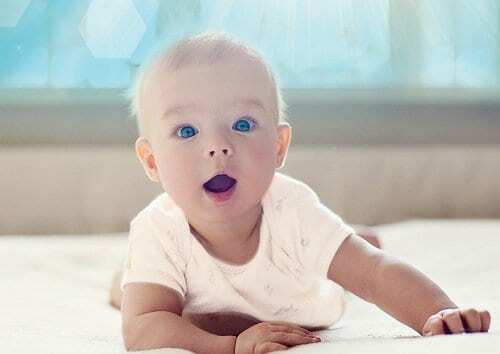 The Enfamil ProSobee Soy-Based Infant Formula might not be non-GMO, but it is lactose-free, which offers its own benefits for infants. Since a lactose sensitivity or intolerance is more common than you might think in small babies, this particular formula is perfect for still getting them the nutrition they need for the first year. It’s made with DHA and choline for healthy cognitive development and it’s meant to be extra sensitive on tummies. So even if your baby doesn’t have an official lactose sensitivity, it’s possible this might help with gas or digestive issues. You can buy it on the manufacturer’s website and on Amazon or in-store at Target and Walmart. On Amazon, a 22 ounce can of Enfamil ProSobee Soy-Based Infant Formula is $28. Check out the latest prices on Amazon. There are no recent or current recalls on the Enfamil ProSobee Soy-Based Infant Formula. It can significantly reduce reflux in most babies. It’s a healthy alternative for infants who already have a clear lactose sensitivity. Babies with constipation might also see some relief after switching to this formula. Transitioning from breastmilk to this formula is easy for most babies. Some parents may not love that one of the top ingredients is corn syrup solids. Babies with spit-up issues rather than colic might still have issues with this formula. The taste might not be very pleasant for some little ones. “My baby had loose and watery stools with all the other forms of formula except soy, she stopped being as fussy and her bowel movements are now soft and formed. She’s nine months old and has been on it for six months now.” – Alana SV. on Amazon. “My granddaughter has had excess gas from early on. Her mother had tried lots of different products with very little difference in results. She was nervous about trying yet another product however this product was readily tolerated by her so both mom and baby were happy.” – M. Wolf on Amazon. While there are no obvious differences you can see between non-GMO and regular formulas, the stronger option here would have to be the non-GMO formula. Depending on the brand, it might be a little more costly, but it can also be the difference between inflated acid reflux and a settled tummy after feedings. There’s nothing wrong with sticking to regular formula if that’s what works for your family, but overall, non-GMO is the stronger choice.